…..and we hope we can help you find the companion animal you’ve been looking for! 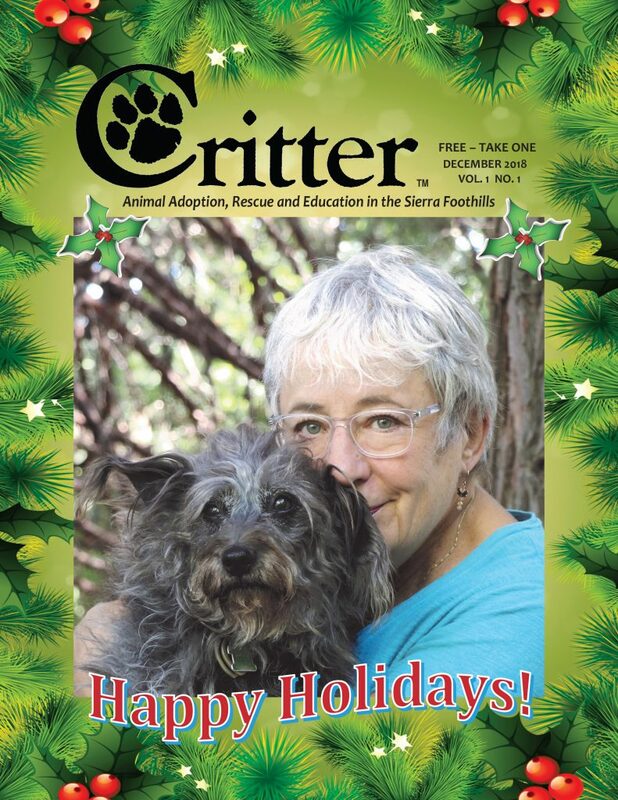 Critter Magazine was conceived as a community magazine to help homeless, neglected and abused animals find loving families – and is committed to that goal. We hope that in time, the publication will serve as a networking tool and information clearing house for shelters, adoption and foster programs, rescue groups, veterinarians and individuals. to publicize the needs of innocent animals. Another primary goal is to increase public awareness through education. We welcome articles, calendar events, information about interesting and innovative programs for animals and their guardians, “Happy Endings” adoption tales, kid’s stories about their “critters” and especially adoption listings. In the spirit of community, please feel free to make suggestions and share ideas about what you would like to see on these pages. We are always open to change…and the hope that by working together, we can create a better life for our animals. You can find a copy of this new magazine at many locations around the area including the Nevada City Chamber of Commerce, SPD, Scraps Bakery, the Library, Sierra Cinemas and more! !